Gazi Husrev-Begs Mosque of Sarajevo, originally uploaded by bill kralovec. 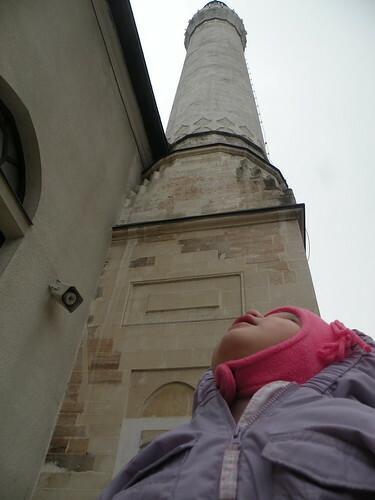 Ocean is shown looking up at the tower of Beg’s Mosque in the old part of Sarajevo. It is located in the center Bascarsija market and while we were shopping, we stopped to take a look at a fine example of Ottoman architecture. The towers of mosques can be seen throughout the city and in villages in Bosnia. 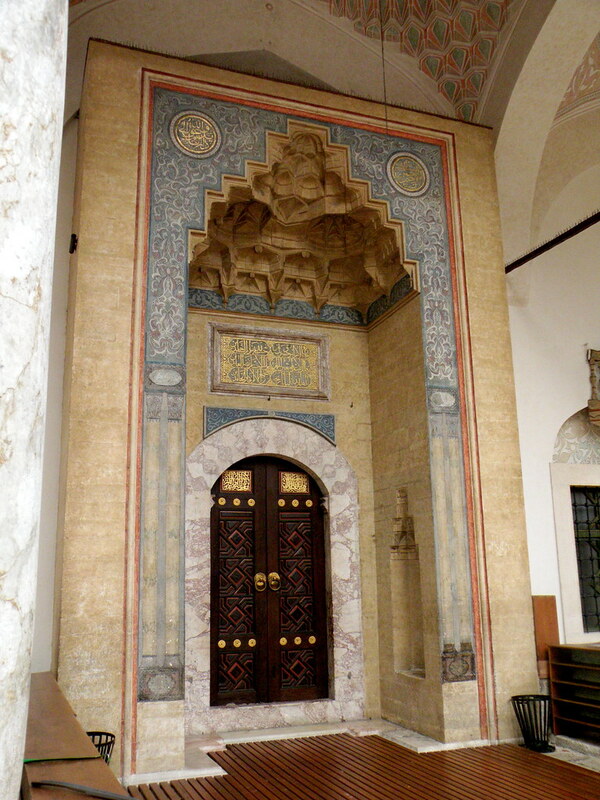 Beg’s mosque was financed by Gasi-Husrev Beg in 1531. He was the Bosnian governor for Sarajevo when the Ottomans ruled most of the Balkan peninsula. The Ottomans were here for over 500 years and it is in Sarajevo their influence can be felt the most in the ex-Yugoslavia. They also converted many of the Serbs and Croats to Islam, hence the Bosniaks of today. The mosques add a touch of the exotic to Sarajevo. The mosque was destroyed several times throughout its history, most recently during the siege on Sarajevo from 1992-1995. The Saudis financed rebuilding of the mosque. We even heard the call to prayer, the first time I ever heard it live. Very cool. The market was great! Nadia enjoyed looking at all the shops. We bought a tea set, scarf, etc. and I even bought a fez. The people in the market loved the kids and they got free candy where ever we went. 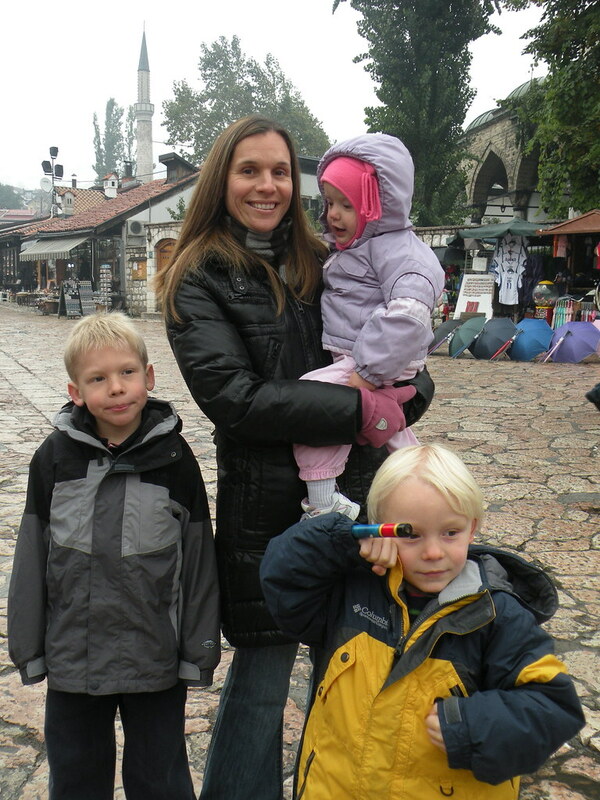 It was low tourist season and horrible weather, so there were no crowds and we got to meet many of the vendors. I also got a nice shave. The kids also enjoyed using umbrellas for the first time. We had to buy three of them of course and they walked around with them every day. Ocean dragged hers through puddles.